Bill Smith's Body Shop has been doing automobile repairs since 1977. Their staff of experts will make your car look brand new as well as giving you the most customer friendly experience! From professional auto body repair to professional auto refinishing, Bill Smith's Body shop will ensure your car is repaired to your expectations. Have a question about auto body repairs? We can answer them right here! 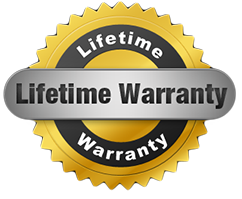 Our "Lifetime Warranty" ensures your repair will be covered for as long as you own the vehicle.